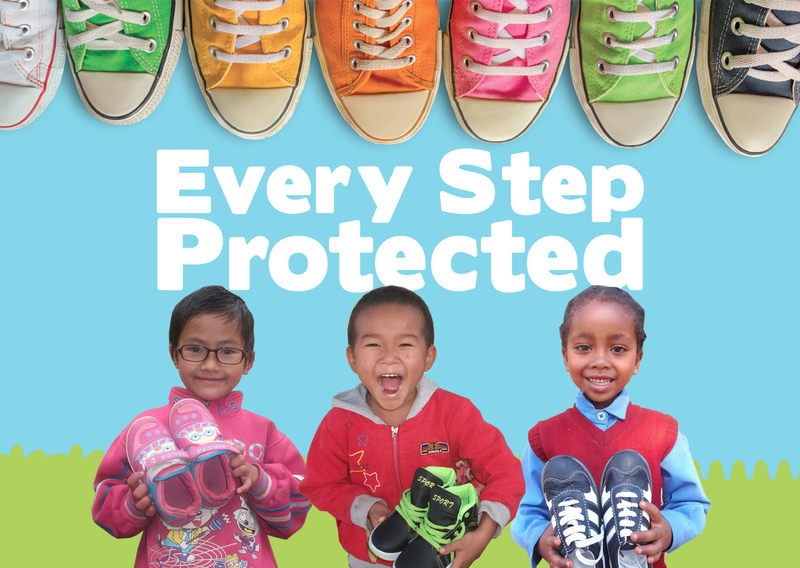 The gift of shoes protects a child’s feet from harm everywhere they journey, to and from school each day, on every errand and expedition. When our kids receive a pair of shoes they burst with joy and are given the confidence to walk through mud, climb over rocks and splash through puddles. They are secure in the knowledge that their feet are protected from cuts, damage and disease and free to adventure into all life has to offer. Will you give the gift of a pair of shoes this Christmas and help children know they are loved and cared for? This will protect the feet of three children living in the Khairang in the mountains of Nepal. “Today I feel so happy for I have received new a pair of shoes because my family cannot buy good shoes for me. Before I joined Stand by Me Bethany School I used to wear plastic shoes which I shared with my brother. Thanks to God and our generous sponsors.” Temesgen, age 9 from Ethiopia. Together, we have been able to protect the precious feet of our children from the monsoons of Burma, to the scorching heat of Colombia, to the rocky hills of Nepal. Thank you!